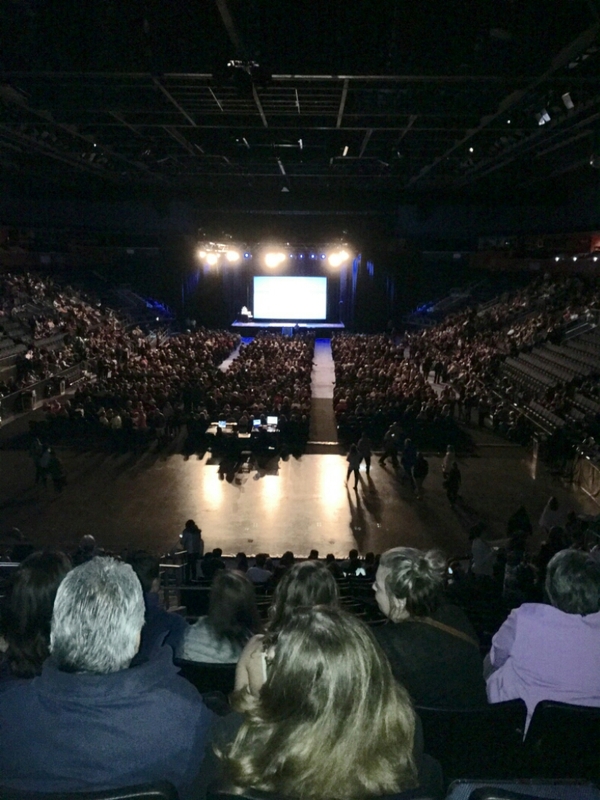 As I sat with at least 7,000 other people gathered to experience the Long Island Medium; í saw more than this room. í saw a gathering of souls matching our physical number. I saw Soul Spirits move to be near Teresa as their “person” stood up in response to their voiced clues. I recognize that our souls are the one family life force who have moved all of us to be here for this moment. “Spirit” has come to call on us tonight to help move forward our “now-suffering-in-the-dark-spaces-of-circumstance” members. It takes a physical soul like Teresa to help jump start a person and point to a way through “the-what ifs-shoulds-and-didn’ts” of departure. And yes, to laugh and to give up their ghost 👻. It was then that I was “beeped”. The room lit up a few levels and I saw light energy beam in and out of standing light bodies above us in the room; like a beaming scene from Star Trek. It came in like a flash of insight. I watched the energy exchange happen reading after reading and then disperse throughout the room. (How everyone here seemed not to notice what was going on around them, still stays with me) I bet they felt it on some level, though. By the end of the experience; we felt a kinship. Amazing! I came to the understanding that the hard part for those left behind in the physical world, is finding a way to deal with the space where their loved one used to be in their lives. Many get stuck there. I believe giving up those ghosts is the answer. What are you going to do with the information I just gave you?